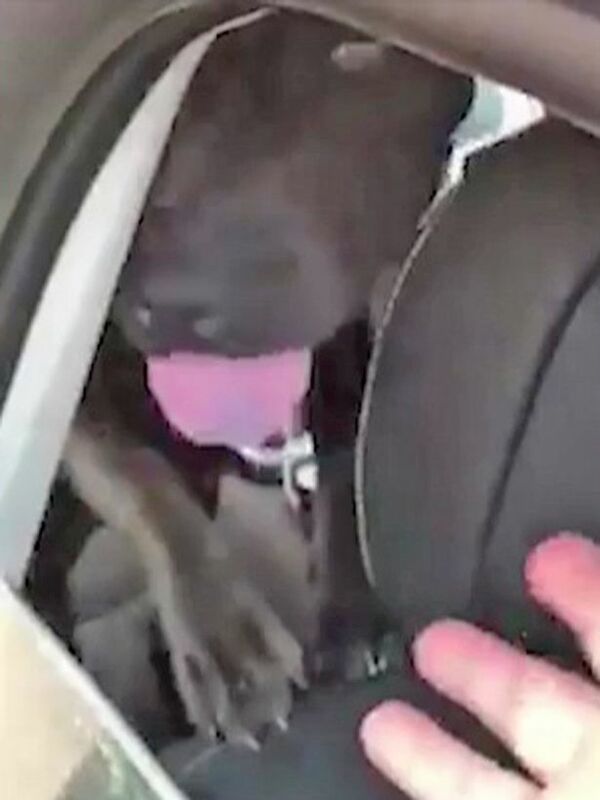 Shocking footage shows the panting animal in the back of the vehicle before the woman confronts its owner. Elaine Woolacott filmed the panting animal in the back of a vehicle at the Stone Lane Retail Park in Exeter, Devon. She was even more shocked as it was the second time she discovered a dog left in a car at the same retail park this week. On Tuesday, she had confronted a couple whose sweltering pet was subsequently taken off them by the RSPCA. Elaine was then shocked to see another dog struggling in a car on Thursday – and an argument broke out when she confronted its owner.